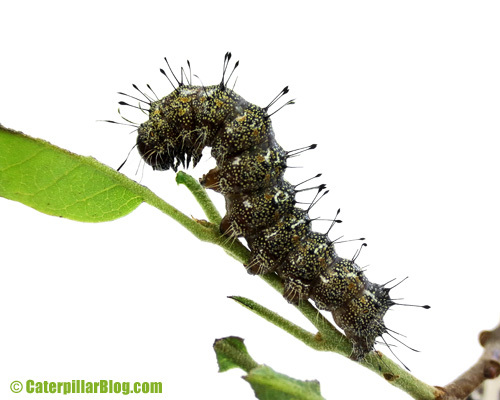 Posted on April 24, 2013, in Acronicta, Acronictinae, Invertebrates, Lepidoptera, Noctuidae and tagged acronicta caterpillar, caterpillar defense, caterpillar video, caterpillars, defensive behaviors, Joe Acronicta, paddlemaster. Bookmark the permalink. 3 Comments. What Sarah said: Self-soothing victory dance. “I bit the predator, I bit the pre-e-dator. It went awa-ay, it went awa-ay.” Then a little whimper, and a nap.